The ancient Babylonians were the first to use sophisticated geometry – a staggering 1,400 years before it was previously thought to have been developed. Sadly, these mathematical innovations were forgotten as the Babylonian civilisation collapsed and were only rediscovered this year as scientists took a close look at ancient clay tablets. This surprising finding made me wonder about what other scientific methods that we put down to modern minds were actually discovered by ancient civilisations. So I decided to hunt down some of the most advanced uses of chemistry. The mirrored shine of chrome-plated metal is almost a symbol of the modern era. A thin chrome layer coats metals and plastics in kitchens, bathrooms and cars. Credit for chrome-plating technology goes to George Sargent who published a method in 1920 that lead to the commercial plating that dominated the Art Deco period and beyond. In fact, other famous chemists including Robert Bunsen dabbled with chrome plating in the mid-19th century. But all of these may have been beaten to the shine by the metallurgists of the Qin dynasty in China some 2,000 years before chrome had even been identified in the West. In the 1970s, razor sharp swords coated in a thin layer of chromium oxide were unearthed along with the the famous Terracotta army . The Chinese suggest that their 1st dynasty weapon smiths coated officers’ weapons to protect them from corrosion. And indeed, two millennia later the blades are untarnished. However, whether this is really the case or in fact the chromium layer slowly formed from a peculiarity of the blade’s composition and the fires that ravaged the buried terracotta army is amatter of debate . Concrete is the mainstay of modern buildings, but ancient civilisations also used it to great effect. Concrete is a composite, meaning that it is made from two or more materials; cement is mixed with sand and gravel, which then sets into whatever structure is required. 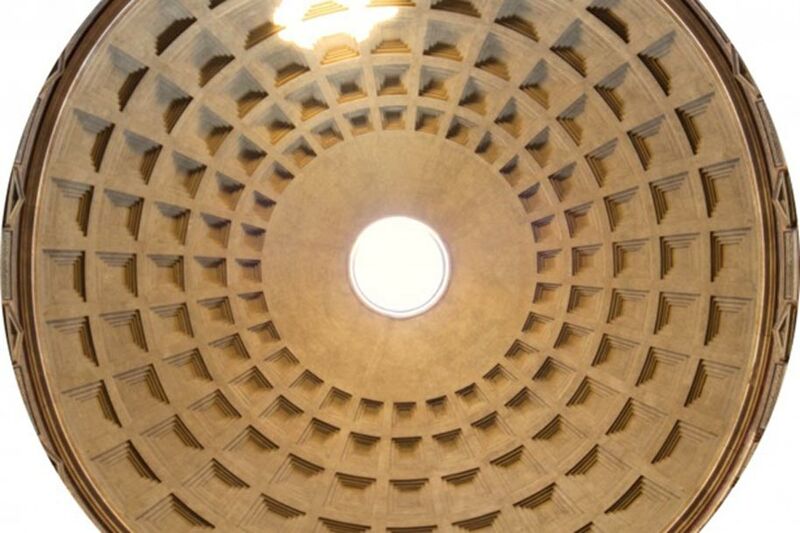 The most famous ancient concrete buildings are probably the Pantheon and Colosseum in Rome. Both are composed of fine volcanic ash mixed with lime ( calcium hydroxide ). Together these make the cement, which sets and binds fist sized pieces of limestone together. This particular recipe produces a network of crystals that resist propagation of cracks, the bane of modern concrete. The result is an incredibly enduring material that is, in many ways, superior to today’s concrete. A testament to this is the majestic roof of the Pantheon, which, at 43 metres across, is still the world’s largest unreinforced concrete dome. Carbon nanotubes are the strongest and stiffest materials known. They consist of cylinders with walls that are just one atom thick. When used within composite materials they can massively enhance the strength of an object resulting in super strong and light components, some of which you can find in wind turbines, sports gear and vehicles. In 2006 researchers discovered that the people of Damascus were making use of nanotubes in their steel hundreds of years ago. The result was beautiful blades covered in swirling patterns. And more importantly for the soldiers of the time was the exceptional durability and the razor-sharp edges the steel held. 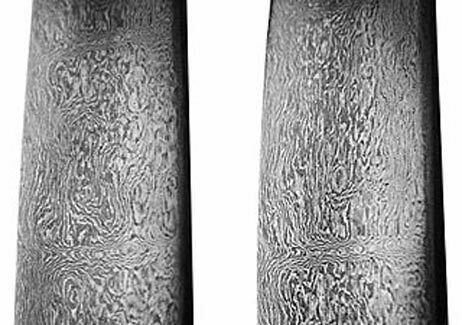 We now know the exact composition of Damascus steel, yet modern metallurgists have failed to reproduce it so far. William Perkin is credited with producing the first organic dye (using chemists’ meaning of the word organic – in other words, carbon-containing chemicals) when he accidentally discovered purple mauveine while trying to make quinine in 1856. 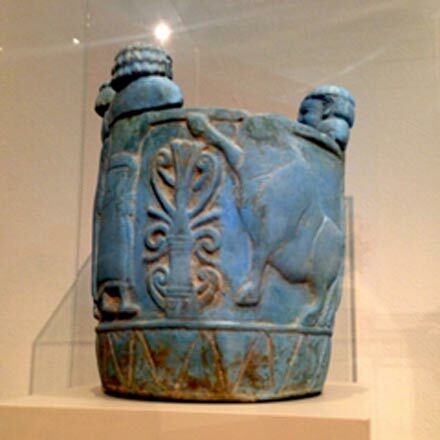 But the first synthetic pigment of any type was probably made by the Egyptians as early as 3000BC. By heating a mixture of sand, ash, calcium carbonate (possibly from shells), and a copper containing ore to temperatures of over 800°C they manufactured blue calcium copper silicate. This could be then be used in glazes to produce a stunning range of hues. The incredible technologies devised by craftsman and artists of ancient civilisations are astounding. Much of it can’t be bettered by modern techniques. But what separates science from skilled craft is an understanding of the underlying mechanisms involved in the making of the material. Underpinning this understanding in modern chemistry is the atomic theory often credited to John Dalton in the early 19th century. But philosophers of old also had a good crack at thinking about the nature of matter. And in fact atomism has sprung up multiple times in antiquity . Most notably from the Greek philosophers Democritus and Leucippus who speculated that everything is composed of physical, indivisible and invisible atoms back in the 5th century BC. The article ‘ From Chrome Plating to Nanotubes: The ‘Modern’ Chemistry First Used in Ancient Times’ was originally published on The Epoch Times and has been republished with permission. In regards to the correct spelling with words, just to let you know with the word happyness as you have spelled it this is not the correct spelling. You should have dropped the 'y' and replaced it with an 'i'. Just wanting to ensure 'correctness' as you do. Spelling may not matter in personal correspondence, or in the Pursuit of Happyness, but when someone gets paid to write an article and/or when one publishes, spelling really is important. When spelling is shoddy, it points to sloppiness and laziness overall. If I'm looking for information, I don't want it gathered sloppily or lazily, thanks. I want exact information, and attention to detail. That said, there are different acceptable spellings in some cases. The difference between the use of "z" in American spelling, versus the use of "s" in every other English speaking country is one example. It matters not if the spelling is correct, what matters is if the idea is passed along or not. Proper spelling does help, but is not the reason behind the articles. To pass along information is the gist of it. As well as gaining in our small brains a little more of what has been done before we popped into this world this time. My belief is that we are recycled over and over, our slates are washed clean and we learn again. Some of us remember what has happened before, I have memory's of a few past lives, not much of them true, however....... it does not matter. I ramble. I hole thing is to pass along ideas, good or not, and let others develop ideas, keep it churning, make the butter from the cream. you would be better off familiarising yourself with the slight differencez between british and merican english, and then not worrying about such trivial thingz. I hope author of article here learns to spell better. civilization is spelled with Z.. not s.
Read more about We think we're the first advanced earthlings - but how do we really know?